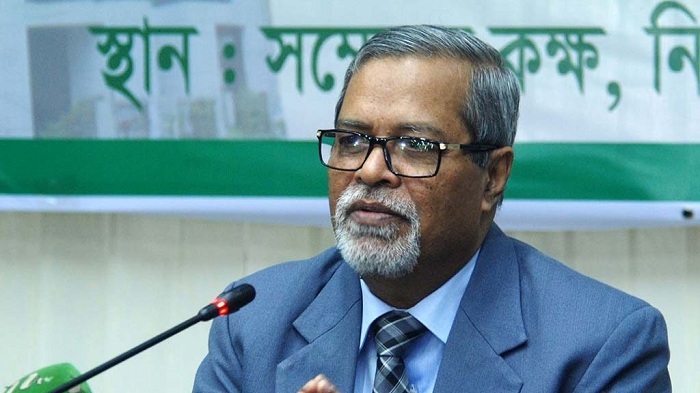 Chief Election Commissioner (CEC) KM Nurul Huda on Tuesday said the Commission took no decision to deploy army during the 11th Jatiya Samgsad elections, BSS reports. "The commission has not taken any decision in this regard (though) discussions are underway if the army would be called out during the polls time," he said. As the CEC's attention was drawn to the Election Commissioner Mahbub Talukdar's recent remarks that the commission could favour military deployment Huda said "it was his (Mahbub) personal remarks". Supplementing the CEC' acting EC secretary of Helal Uddin Ahmed said the commission could take decisions on military deployment after announcement of the polls schedule. "We still have one year in hand (before the election)," he said. Asked whether the military could be described as a "law enforcement agency" during polls, Ahmed said the country's Constitution, Representation of the People Order (RPO), and the Criminal Procedure Code (CrPC) would require amendments to define army as a law enforcement agency. "Army is a force to protect the State, it is not a law enforcement agency," Ahmed added. Asked about the scopes or possibilities of empowering army with magisterial authority during polls as demanded by BNP, he said previous elections when military was called out, they were deployed as striking forces. "No election in the country saw the deployment of army having magistracy power," he added. Replying to another question, Ahmed also said the Commission was yet to take any decision to use Electronic Voting Machine (EVM) in the election. "EVMs will be used experimentally in a ward in the next Rangpur City Corporation election but decisions will be taken later about the application of the device in the national election," he added.